Mexican legend Julio Cesar Chavez Sr. - unlike some others - was impressed with last month's performance of Saul "Canelo" Alvarez (49-1-2, 34 KOs). Canelo made his official move to the middleweight division, challenging IBF, IBO, WBA, WBC champion Gennady Golovkin (37-0-1, 33 KOs). 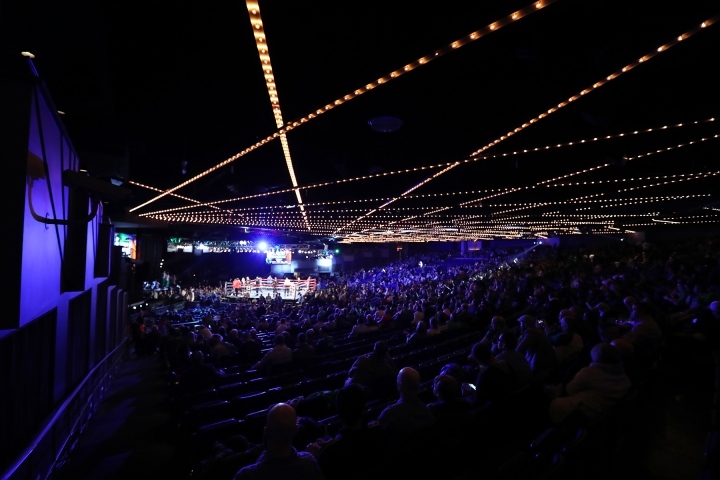 The two boxers clashed on September 16th at the T-Mobile Arena in Las Vegas, with the three official judges rendering a twelve round split draw. There were a lot of post fight controversy over the wide 118-110 score in favor of Canelo, with the other two judges having it 115-113 for Golovkin and 114-114 for the draw. Canelo has more than his share of critics in the aftermath of the fight. Some of them felt the Mexican boxer spent too much time on the move, as he used his legs to circle the ring while Golovkin applied constant pressure and followed him around while throwing punches. Chavez Sr. disagrees, stating that Canelo had a very good strategy that he would consider "Mexican style." "Yes, Canelo did have a Mexican style [in the fight] because he stopped moving when it was necessary, in order to stand his ground and fight and also to exchange punches with Golovkin," Chavez Sr. said. On the other hand, he agrees with some critics who feel Golovkin is on the decline. In his last few fights, Golovkin has been very hittable and not exactly dominating his opponents with the same fierce charge as displayed in the past. After stopping 23 opponents in a row, Golovkin has gone the full twelve round distance in his last two fights. And Golovkin also had some issued last September with the style of Kell Brook, before the stopping the Sheffield boxer in five rounds due to injury. "I looked at Golovkin and I did not see him having the power or the speed that I've seen in other fights, where was the Mexican style?," Chavez Sr. said. expectations are just that; expectations. if GGG, or anyone for that matter just walked over everyone always it wouldnt be an interesting sport.